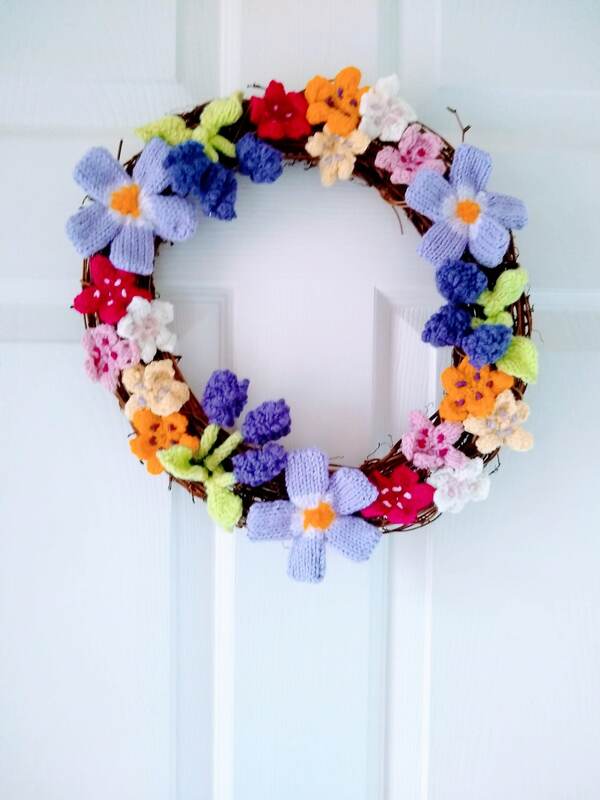 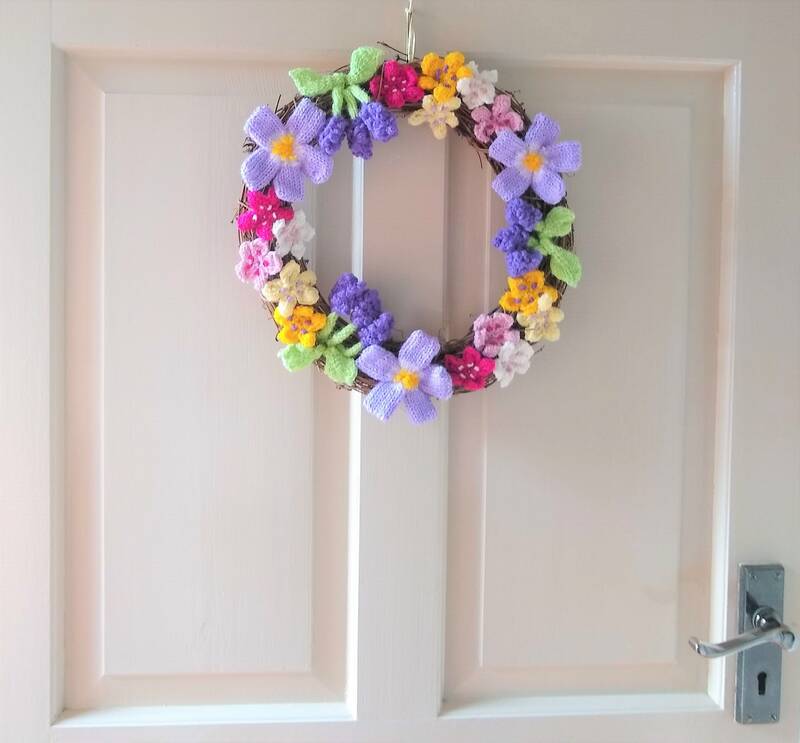 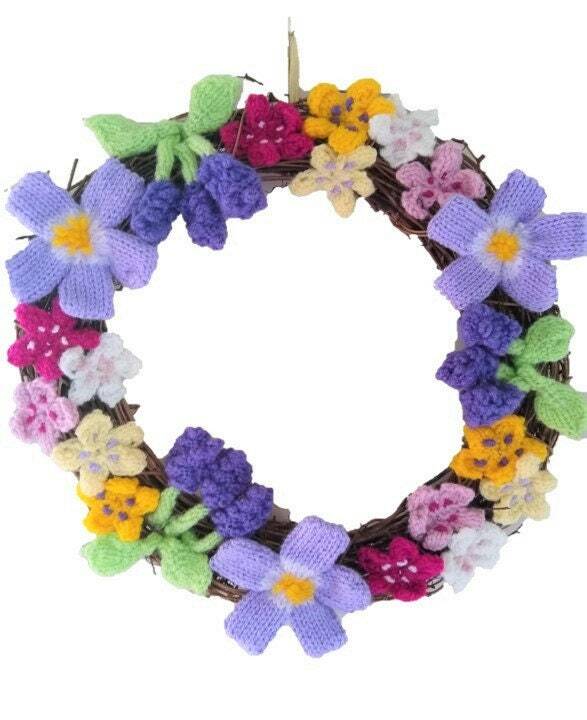 I hope you enjoy knitting this striking wreath to welcome the Spring. 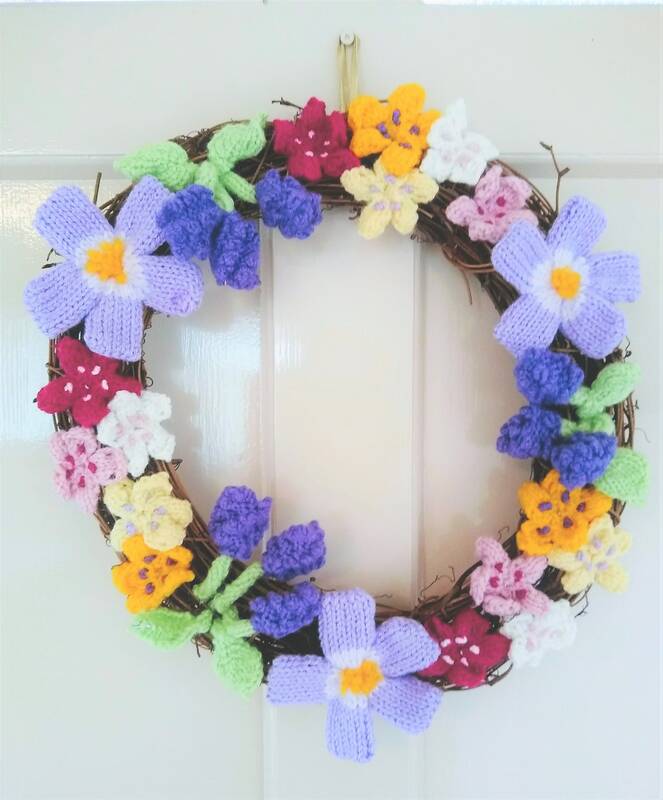 The pattern has instructions for knitting the flowers and leaves and how to wire them for the arrangement. 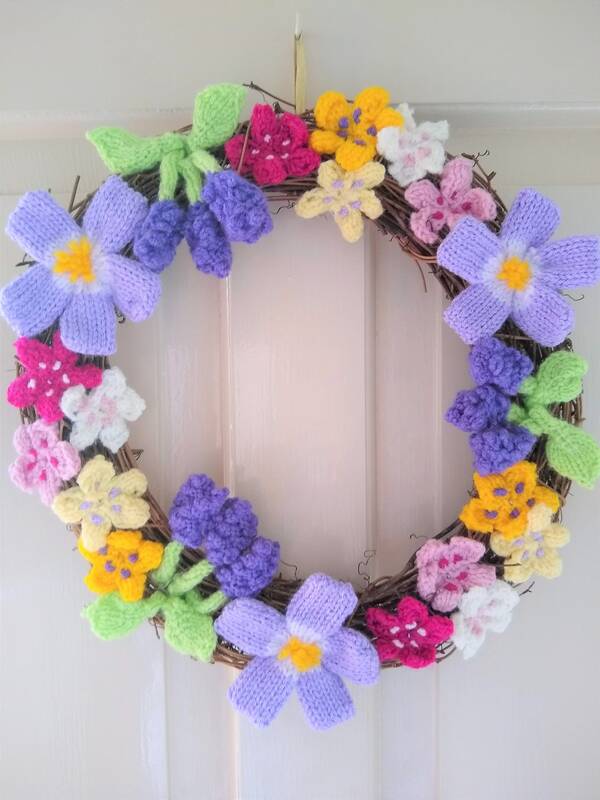 Any Double Knitting Yarn (8 ply) can be used that match the colours.